Star Wars Battlefront, the game based on the Star Wars franchise released last year on consoles and PC in all regions, has received plenty of additional content through updates and the first DLC pack Outer Rim, and more will be coming to the game in the future. We don’t know much about future content hitting the game in the next months right now, but some currently unused audio files suggest that another Extraction mode will be coming in the future. 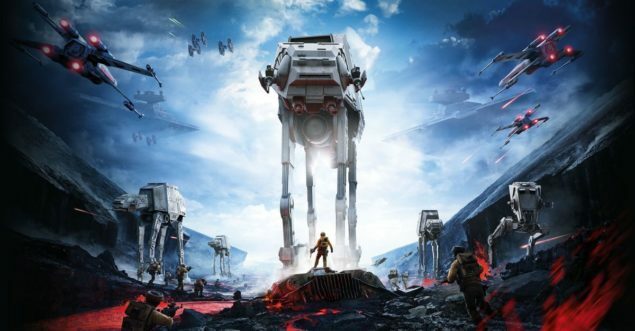 The recently discovered Star Wars Battlefront unused audio files seem to hint at a new Extraction game mode that will be somewhat different than the one added to the game by the Outer Rim DLC. You can listen to the unused audio by watching the video right below. Star Wars Battlefront has recently received its first DLC pack, called Outer Rim. The pack includes new heroes Greedo and Nien Numb, new maps, an increased level cap, the new Relby V-10 rifle, the DT-12 Blaster Pistol, and three new Star Cards, Scatter Gun, Dioxis Grenade and Adrenaline Stim. The Outer Rim DLC pack was released for Season Pass holders in late March, with everyone else becoming able to purchase it separately from yesterday, April 5th. Those who aren’t sure about purchasing the Outer Rim DLC pack have the chance to try out some of its content even without purchasing it. A couple of weeks back, we have reported that it’s possible to try out the new Outer Rim DLC weapons in single player mode. Star Wars Battefront is now available in all regions on PC, PlayStation 4 and Xbox One in all regions. The Outer Rim DLC pack is also available for purchase right now on all formats and in all regions.